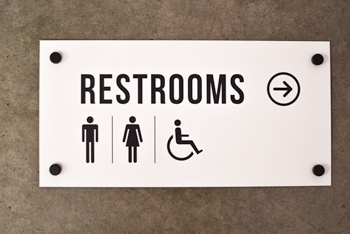 Engraved wayfinding signs are the perfect professional looking solution for posting directions in the hallways of your corporate office building, clinic, hospital or school. 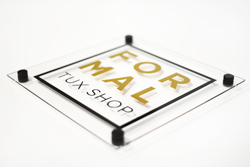 These acrylic signs (1/16" thick) are laser engraved with any text or graphics you require at no additional charge. Choose from a few standard sizes and a variety of acrylic colors including metal and wood-like finishes. 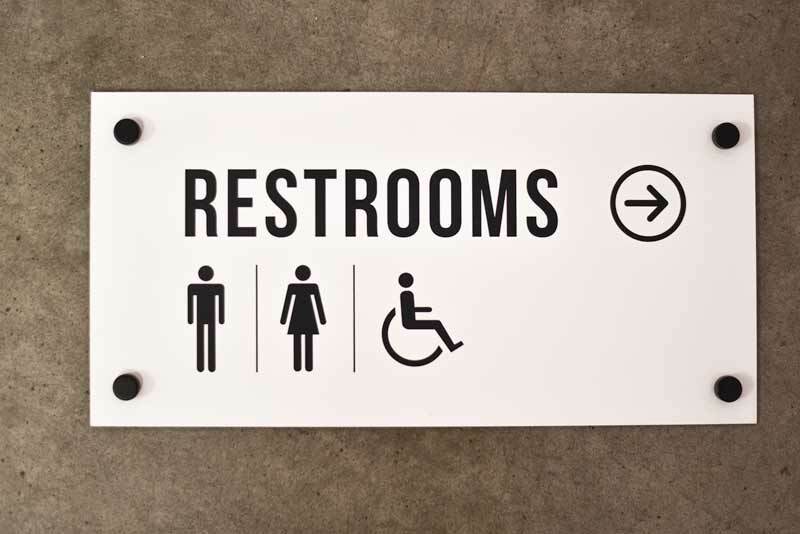 Sign is screw mounted to the wall and includes hardware and (4) decorative screw caps for covering the screw heads. If you don't see a size or color you need, contact our customer service team via email at service@officesigncompany.com or via phone at (701) 526-3835 with all of your details. You have requested a digital proof. One of our artists will send your digital proof to the email address associated with your order, and production will not start until your proof is approved. 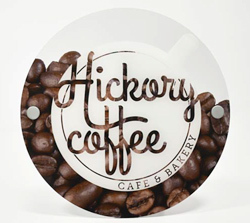 Send us your custom design - 12 inch round acrylic signs - printed on the backside. No additional charges or set up fees! 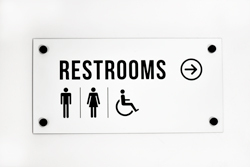 Mounted with metal standoffs to give your sign added dimension. Custom door and lobby signs. 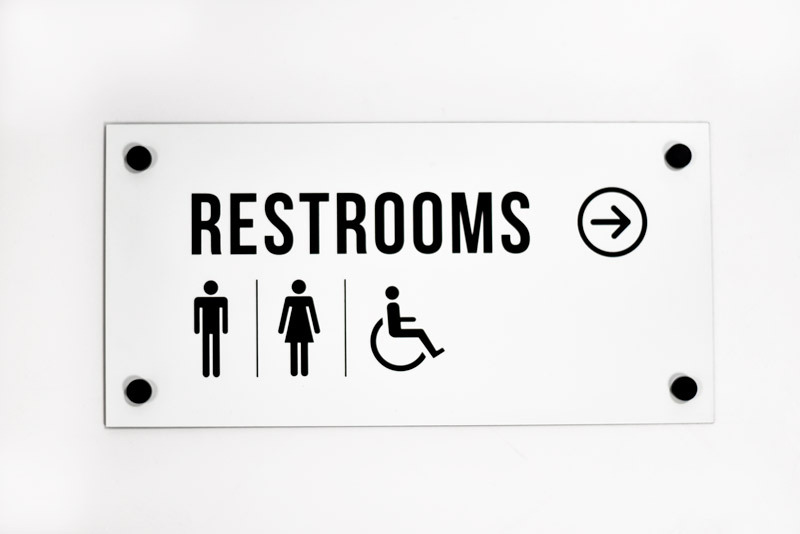 Clear acrylic office signs can be customized with vinyl at no extra charge. 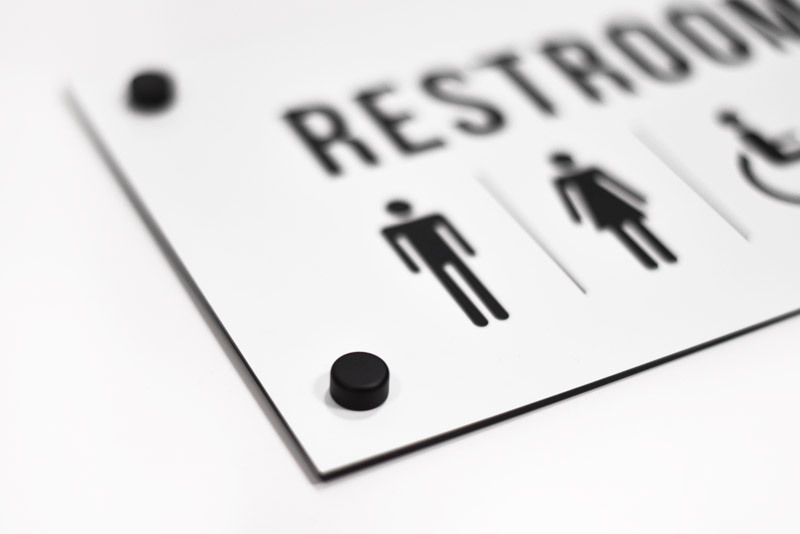 Send us a company logo, personalized text or any design you need for your sign. Sign is mounted with decorative metal standoffs included. 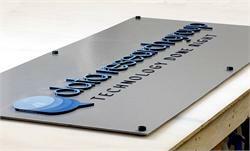 Large brushed metal sign with 1/4" laser cut dimensional lettering and/or logo in crisp, satin gloss black acrylic. 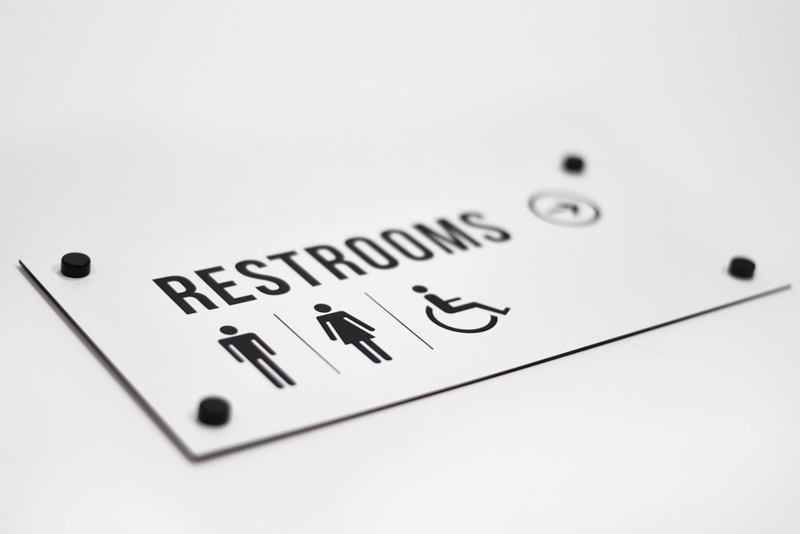 Logos and lettering are colored with printed vinyl graphics. Includes 6 stand-offs for mounting and added style. Custom Sizes on request. 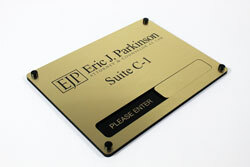 Gold Standard Sliding Room Sign - 12"x9"
12" x 9" engraved sign with custom sliding channel. 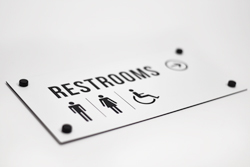 Personalize sign area and sliding message channel at no additional cost. Available in many colors and sizes, displayed in a gold/brass finish. Includes stylish screw caps for mounting. 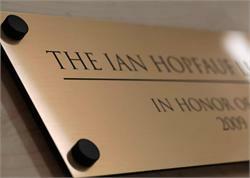 Custom engraved office sign and memorial signs. Available in virtually any size and style, this product represent a 17x6" sign in gold/brass with black lettering. 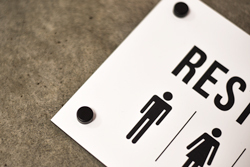 Includes black sign stand-offs for a stylish mounting. Custom colors and sizes available.